REBLOG: How To Write A Bestseller With Western Writer Scott Harris: Mile 1: Why Me? So let’s saddle up and get started, and if you already have something you’d like to share, or a question you’d like to ask, send me an email at Scott@scottharriswest.com. CATCH THE LATEST SCOTT HARRIS WESTERN BESTSELLER! The latest adventure from one of the most exciting Western authors of today! This is “Mojave Massacre” from Scott Harris! A sure-fire reader pleaser! 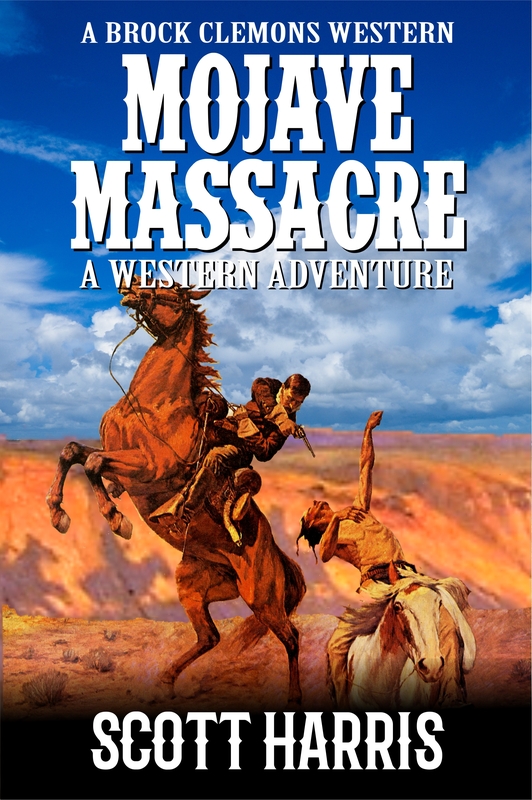 Mojave Massacre is the exciting second book in the new Grand Canyon trilogy and the fifth book in the best-selling Brock Clemons Western series, following the tremendously successful Dry Springs trilogy. Click here to download your copy of this exciting new book!